Imagine if, for the price of one small membership fee, you could have access to a Global network of co-working spaces… well that is exactly what you now can do as a member of the Kingsford Business Club!  As of today Kingsford is taking part in the coworking visa programme! Here’s a bit of info on the programme, and why we’re so excited about it. What is the co-working Visa? It is a global network of coworking spaces that allows active members of one space to use other coworking spaces around the world for free for a set number of days (usually three). As part of the Kingsford Business Club, our members can work at over 450 coworking spaces, across 6 continents, for up to three days at a time, for absolutely nothing. Perfect for the entrepreneurial adventurer. Why are we joining the co-working Visa? At Kingsford we look for any opportunity to give our members more value. What a great opportunity the coworking visa presents to do this. Now, instead of having access to one coworking space, our members have access to over 450! What’s more, we love the coworking visa as it exemplifies the spirit of coworking; it’s flexible, innovative, and community-driven. We can’t wait to create links with interesting and exciting coworking spaces across the globe and welcome their members into our space. We hope our members will take advantage of this opportunity to network with people from across the globe, who knows what opportunities and partnerships might come as a result. If you are travelling somewhere and want a place to work, you can search coworking spaces by location on this map or on this list. Once you have chosen the space(s) you would like to visit, check their individual terms on the list. Most spaces ask that you contact them in advance to ensure they have space, many also ask for proof of your membership at a cooperating space – which we will be happy to provide if you let us know in advance. The majority of spaces let you work for up to three days, but it is worth checking individual spaces terms to make sure this is the case. We’re excited for our members to make the most of this opportunity – go out and travel the world! (And don’t forget to take pictures).